I went shopping yesterday with the intention of buying clothes. Most of my shopping involved drooling over the new MAC collections and making a large purchase! So here are the goodies! The Venomous Villains collection is MAC's most recent and one that seems to have split opinion. Some have been buying up the whole collection whether you be a Disney fan or a MAC collector. Some dislike the whole concept. I am a fan! I am a HUGE Disney fan and the combo of both MAC and Disney made me giddy when I first heard the news! I like that they made it edgy instead of cute. The product most seem to be longing for are the nail polishes from the Maleficent part of the collection. I saw swatches of these and I have to say I wasn't totally in love. I reserved judgement until I saw them in person. As soon as I saw the sparklefest that is Bad Fairy I knew that would be a purchase but I think I got swept up in the hysteria around Formidable as it was the last one left. I have yet to decide if it's my thang. I'm just not sure that I like the two tone effect. Bad Fairy is mostly a rosy toned glitter occasionally you will catch a green hint to the polish. The colour was great after two coats. It was impossible to capture the sparklyness of this polish but it really glitters. Formidable is dark purple base with teal and purple glitter. It has as an oil-slick appearance. I wasn't sure about this one but I like it on. It most definitely needed three coats maybe four for a very deep colour. Again another sparkle-licious polish but the colour hasn't taken very well, I think this particular one doesn't translate well in a photo. I also purchased a Mineralize Eyeshadow in She Who Dares also from the Maleficent quarter. Again this was a decision made on impulse and on hindsight I'm not sure how much I'll use it, however it certainly is a pretty product! The MUA had a swatch of the blue and green over a black Greasepaint Stick and they were incredible. My last post was about the amazing Superslick Eyeliner I mentioned I was inclined to purchase more and I did! Marked For Glamour, a gunmetal grey. Its a little darker than this picture would have you believe. I have this on today and I love the colour, to me it feels more casual than the black version a bit more daytime. Its not a flat colour either, it has some multi-coloured pearl when you apply the liner that dries to give a shimmery effect. Defiantly Feline, a chocolate brown. I love brown eyeliner! I just think it look stunning with Mulch, Tempting etc. Again a nice casual, easy going look. As with the previous liner it has a pearl effect when wet then dries to leave a subtle glisten. 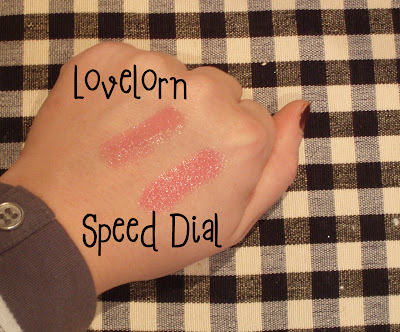 While I was there I got a new Blacktrack Fluidline, a makeup bag staple! I "Back-2-MAC'd" a few things that allowed me to get two lippies. 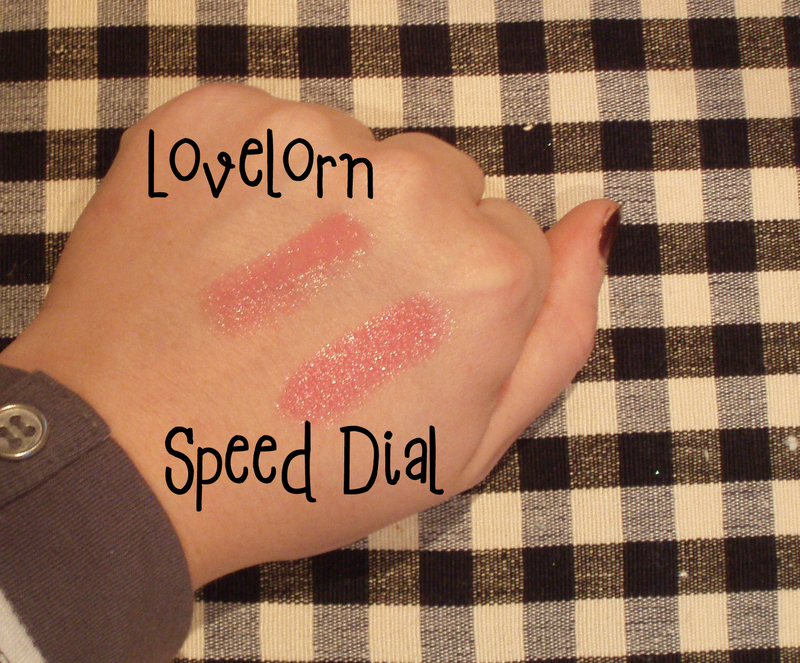 I replaced Lovelorn, a colour I had for about two days, wore once, then lost it! Then I chose Speed Dial. I was really looking for an easy to wear pink. Speed Dial is darker in colour, I feel Lovelorn is more blue toned. So that was what I got!! I forgot to get a new Retrospeck, can't run out of that baby so will have to order online along with a green Superslick liner! Haul - The Nail Polish Kind!